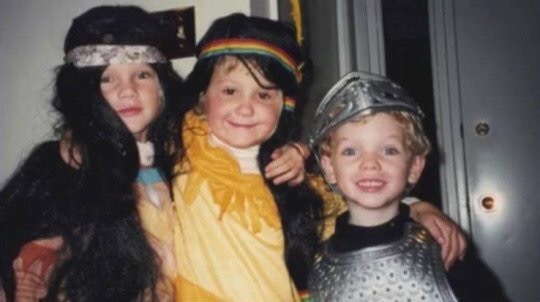 Adorable Throwback Photo of Taylor Swift, Brit Maack and Austin Swift! Doesn’t Taylor Swift make the most adorable Pocahontas ever? Swift recently revealed that she can’t watch Pocahontas without crying, so it’s especially adorable to see her dress up as her! Swift is pictured along with her childhood best friend, Brit Maack. 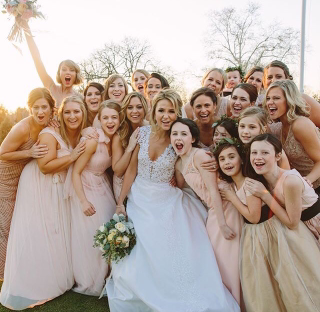 Swift was recently the Maid of Honor in Maack’s wedding. Seriously though, how adorable is Austin Swift? He definitely looks a knight in shining arming to me! Taylor Swift + Brit Maack Stun In Black – See The Photos! This past weekend, Taylor Swift was on hand to attend Actress Reese Witherspoon‘s birthday party in Hollywood. Accompanying Swift, newlywed BFF Brit Maack and Swift’s younger brother Austin.